Takeaway: Many people believe the only way to lay new underground lines and structures is to dig a trench and insert the feature. Trenchless technology makes creating new pipe installation and other subterranean formations without an open ditch possible. Trenchless technology is an underground construction technique which uses few or no surface level trenches. The techniques and equipment utilized by this construction and rehabilitation method take advantage of current access points. Often the tools used to repair or replace current subterranean structures have remote controls so the operator may stay on the surface. Trenchless technology allows workers to assess pipe conditions without accessing the pipes. The technology used not only help workers locate underground lines but also assists in leak detection. Inspections using trenchless tech are either electromagnetic/electrical, camera, laser or acoustic. Electromagnetic inspection only applies to pipes with ferrous components, such as wires and bars, or pipes that are ferrous in nature themselves. This inspection method uses eddy current or magnetic flux leak principles to locate defects and failures within the line. Eddy currents measure the changes in impedance, while magnetic flux detects the metal loss. When inspecting sewer systems, workers tend to use camera inspection methods. This method includes the use of closed-circuit televising cameras to crawl through the pipes. The images from these cameras port back to the operator so he can see everything within the line. While this is a useful tool, it is not for pipes with a heavy flow. Laser profiling allows operators to get a full image of the pipe interior. This method uses a beam to scan the pipe 360-degrees and helps to identify debris accumulation, service connection location, and overall line shape. Typically, inspectors use lasers along with a camera and acoustic inspection tools. Acoustic assessment is as the name implies, workers use vibrations and sound waves to detect leaks and other anomalies within the pipe. Operators insert acoustic devices within the tube which travel through the section emitting different frequencies. These waves are then transmitted back and interpreted to determine pipeline conditions. Most common acoustic devices are intrusive, meaning they travel through the pipe. However, some tools are part of a feature within the pipe network. When it comes to trenchless construction, many people believe the only way to lay new underground lines and structures is to dig a trench and insert the feature. However, trenchless technology has made it possible to install new pipes and other subterranean formations without an open ditch. Horizontal directional drilling (HDD) uses a boring tool to create a pilot bore along the planned pathway. (Learn more in A Step-by-Step Guide to HDD.) Once drilled, workers ream the pilot hole to produce the appropriate diameter for the carrier pipe. The carrier pipe is pulled into place as the reamer passes through the borehole. It is not necessary to excavate the site before using HDD. Additionally, those working in rocky soil conditions can still take advantage of this trenchless method. It can be quite expensive because of the type of equipment necessary to remove the rock. However, if you are working in mixed soil conditions with stones and boulders present in part but not all the area, HDD is not recommended. Pipe jacking is one of the few trenchless procedures which require workers to be in the work area. The minimum casing size for these lines is 48 inches, as workers need adequate room to work. As the casing moves in place, workers remove soil from the face of the jacked pipe. Tools required to complete this type of project include picks, shovels, jackhammers and rock blasting material. With pipe ramming, workers push the pipe casing through soil using percussion hammering techniques. (Learn more in 5 Pipe Ramming Methods Used in HDD. )This method works only in softer soils and does not work in rocky terrain. The dirt that infiltrates the line as the casing advances is removed using either air, water or auger. As pipe ramming is non-navigable, it is not the best trenchless method for laying gravity sewers. Newer technology does allow for a pilot tube to achieve a more accurate grade. However, the use of a pilot tube is not widely accepted at this time. Like horizontal drilling, horizontal auger boring is a trenchless method that creates a pilot hole for a casing pipe. Generally, this method is used in conjunction with pipe jacking, which is how the casing pipe is pushed in place. Auger boring uses an auger machine to create the cylindrical hole. Horizontal auger boring works in a linear direction. It doesn't work in mixed soil conditions. 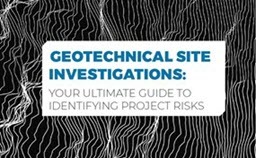 Rocks, boulders or man-made obstructions cause installation failure. Tunnel boring machines consist of a steerable shielded mechanism with a rotary cutting head. These machines can be either man-entry sized boring tools or micro boring tools. Both are used to cut a pilot hole and pull a casing pipe in place. However, in some cases, the carrier pipe for the machine may double as the casing pipe. Traditional tunnel boring machines are man-entry size. With micro boring systems, they are still steerable. However, they are remotely controlled by an operator on the surface. This method is for the casing of 30 to 96 inches diameter. A final type of trenchless tunneling method is the oldest. Hand mining only requires the work area to be large enough for the equipment used and the personnel to manually remove soil. Any shape or size tunnel is hand minable. It does take longer to accomplish the task and requires stabilization throughout the excavation process. When it comes to trenchless rehabilitation, there are many different options available. Often, more than one procedure may work well in a project. Determining which one is the best option requires the project manager to weigh many different factors including structural vs. non-structural repair, corrosion resistance, traffic impact, and potential temporary by-pass duration. When it comes to repairing a pipe that is disintegrating or needs more flow volume, the use of pipe bursting may be the best option. (Learn more in An Introduction to Pipe Bursting.) This rehabilitation method uses either pulling or pushing a new pipeline in place through the existing line. A bursting head is attached to the front of the new plumbing and breaks up the old pipe as the new slides into place. This method is not entirely trenchless as launching and ending pits are necessary to insert the new line and retrieve old line pieces and the ramming tool. However, these pits are far smaller than traditional trenching methods. Cured-in-Place Pipe (CIPP) is a fabric liner impregnated with resin. The worker pulls the lining through the pipe section in need of repair. Once in place, the liner expands using either air or water to allow the coating to conform to the shape of the pipeline. Workers cure the line using steam, hot water, ultraviolet light or ambient air. One of the advantages of using CIPP is the fact that it conforms to the shape of the line. This includes the bends in the line, making it ideal for large sections that have multiple curves. It saves workers from having to line and connect each section. Sliplining is very similar to CIPP. Both methods use a line within a line to rehabilitate damaged pipes. However, unlike CIPP, Sliplining has a void space in between the new pipeline and the existing one. Once the liner is in place, having either been pushed or pulled through the section, workers must seal the void using grout. This method of trenchless rehabilitation does restrict the section’s flow due to the smaller pipe diameter. Additionally, Sliplining is not as flexible as CIPP, meaning parts with bends in the line require many liners connected, once in place. There are many facets of trenchless technology that make it ideal for use on public and private property. Often repairs using this method are completed quicker and at a fraction of the cost.